Born in Winnipeg in 1913, Roy Sellors benefitted from early exposure to art and design through his father, Ernest W. Sellors. The elder Sellors was a watercolour artist who also produced exquisite and highly decorative porcelain works. He was the director of art for the Winnipeg School Division and spent his career teaching art in high schools. 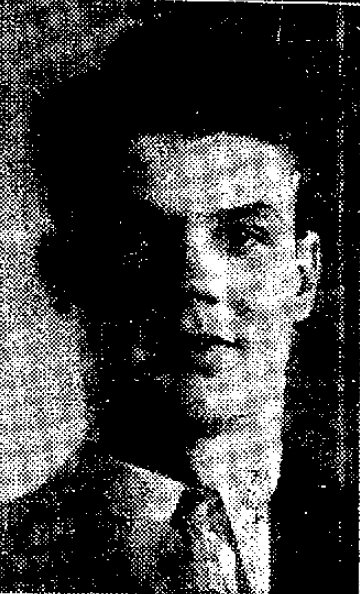 Roy Sellors entered the University of Manitoba in 1934 as a scholarship student, during a Depression in which few jobs existed even for the brightest students. Sellors's talents were notable: he won a national Royal Architecture Institute of Canada (RAIC) student prize and the RAIC gold medal upon his graduation in 1936. His university years were spent under the direction of John A. Russell, who later became the Dean of the School of Architecture. It was Russell who procured a second scholarship for Sellors – and his close friend, Ray Nolan – to attend the Massachusetts Institute of Technology (MIT). Here he was further exposed to the dynamic American modernist style that Russell and Dean Milton Osborne (both Americans) were developing at the University of Manitoba. Sellors received his Master of Architecture from the Massachusetts Institute of Technology in 1939. Sellors returned to Winnipeg briefly to be what he described as “the first draughtsman” hired by the local firm Moody and Moore. He spent 16 months working there, from May 1936 to September 1937, and returned to the firm in the months before and after his time at MIT. Sellors registered with the Manitoba Association of Architects in 1940 while employed by Moody and Moore. The Second World War further diminished employment opportunities for young architects, so Sellors travelled in the United States before landing a job with architect Wyatt Hedrich in Fort Worth, Texas. The firm received many contracts for war work such as designing barracks and training facilities, but most of its staff was called up to serve. Sellors had been classified as “4F unsuitable” (for war duty) due to a punctured eardrum, and so was able to work on a great variety of projects until his status as a foreigner working on military projects became an issue for the American government. Undaunted and much enriched by the experience, Sellors moved with his wife Theresa and their first child Paul to Minneapolis. There Sellors joined the firm Long and Thorshow Inc., which proved to be a good career move. It was from there that Dean Milton Osborne and Professor John A. Russell lured him back to the University of Manitoba to start lecturing in the fall of 1946. The post-war years were an exciting time to be on the faculty at the university. Enrolment was climbing rapidly, facilities were desperately cramped and the Department of Architecture, under its new Dean John A. Russell, was poised for a major reorganization. Familiar as he was with both his alma mater and with modern practice in the United States, Sellors plunged into teaching design, construction, freehand drawing and professional practice. Of particular interest was his work in curriculum development. Sellors was made a Fellow of the RAIC in 1960; the only Manitoban so honoured that year. As a key member of the RAIC Education Committee, he was instrumental in developing the minimum Syllabus Program still in use by the organization. 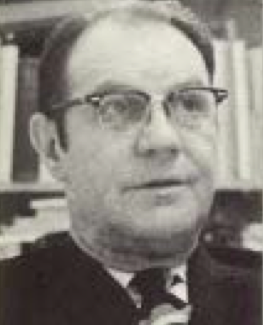 From 1964 on, Roy Sellors was the Curriculum Chair for the University of Manitoba Faculty of Architecture, and during that period the present six-year curriculum was introduced. As well, he was instrumental in having the new Faculty of Architecture building renamed the Russell Building in 1967. 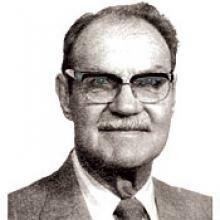 Dean Russell died on December 28, 1966, thereby placing Sellors into the position of dean. He served in that capacity until resigning in 1972 to fulfil a long-planned sabbatical trip in Europe with his wife Theresa. He returned to continue as senior professor with the Faculty until his retirement in 1978. When Sellors and his wife returned to Canada from Minneapolis in 1946, they had two children and three more were soon to follow. They purchased a home in Fort Garry in Wildwood Park, the new garden subdivision developed by Hubert Bird and designed by Cecil Blankstein of Green, Blankstein and Russell. Sellors recalls how the area flooded in 1950 forcing his family to take refuge first with John Russell and later at a cottage. Bird Construction set up a company to repair the houses on a cost basis, helping the fledgling community get back on its feet. Meanwhile both Sellors and Russell picked up lots nearby on South Drive which speculators dumped on the market at deflated prices, following the flood. It was on these new lots that Roy Sellors designed his subsequent family home at 717 South Drive and that of his colleague John Russell at 740 South Drive. The houses are similar, both with floors of precast joists with concrete slabs, exposed wood beam ceilings angled down in the living and dining areas, with natural wood finishing and cork tile throughout the two interiors. Built-in bookcases, floor to ceiling windows, flush mounted fireplaces and attached sun porches make these dwellings fine examples of modernist domestic architecture from the mid-1950s. Sellors recalls working with Supercrete, a large concrete supplier, in developing new designs for using concrete in construction. It was good, he said, to be in private practice as well as being an academic, because he was able to deal with architectural design from a theoretical and a practical standpoint. Sellors maintained a large studio off his living room, where he would often work late into the night on his latest project. He did some work over the years for Moody and Moore Architects, which gave Sellors contacts with engineers and suppliers who would in turn work with him on his own projects. Besides a scattering of houses about the province, Roy Sellors’s designs include the Selkirk Memorial on the northern tip of Memorial Boulevard, the Transcona Library, and 14 churches, mainly in Winnipeg. While his favourite church is Our Lady of Victory Memorial Church at Osborne Street and Arnold Avenue, he is best known for St. Bernadette Church at 820 Cottonwood. William P. Thompson describes St. Bernadette as embodying the “structural innovation of experimental materials,” with great laminated buttresses that descend externally at shallow angles, supporting the church on a raised foundation with glazing fully open on each end of the building. The Osborne Street structure, featured in the RAIC Journal, has a cruciform plan with the altar at the centre, lit from above by a raised lantern. By turning the altar to face the congregation (here on three sides) Sellors anticipated the recommendation of Vatican Two by nearly a decade. Sellors further observed that he enjoyed the way his design of St. Vital Catholic Church on Pembina Highway, low and spreading in its mass, seemed particularly compatible with the prairie landscape. Roy Sellors was a member of the Manitoba Association of Architects (MAA) for more than 50 years, serving two terms on Council and doing extensive committee work. In 1966, he was re-elected vice-chair of the Canadian Housing Design Council, an advisory body to the National Central Mortgage and Housing Corporation. In January 1968, Sellors, then Dean of the Faculty of Architecture, headed a three-man MAA jury for an awards program, the first of its kind in Canada. The 45 entries were assessed on the basis of the fully coordinated architectural solution, including the many planning issues imposed and the resulting design solution. The new building materials and technologies, issues of efficiency and scale, site location and parking were all evolving elements, and this forum provided a good opportunity for peers to examine various resolutions of the real needs of the owner and of the community. Smith Carter won for Place d’Acceuil (the main gate) at Expo ’67, and for the Pan-Am Pool; Libling Michener for the Manitoba Teachers’ Society headquarters on Portage Avenue; and, Etienne Gaboury for Messiah Lutheran Church on Rouge Street. Roy Sellors passed away in April 2005. “From Institute Headquarters.” The Journal (Royal Architectural Institute of Canada) 43 (June 1966): 9. “Honor Awards Instituted by Manitoba Architects at Annual Meet.” Greater Winnipeg Industrial Topics (February 1968). “Honor Diefenbaker.” Winnipeg Tribune. 6 June 1960. “Our Lady of Victory Memorial Church.” The Journal (Royal Architectural Institute of Canada Journal) 27 (December 1950): 460-461. “Two Architects’ Houses in Manitoba.” The Journal (Royal Architectural Institute of Canada Journal) 35 (February 1958): 51-55. “Two level units may be answer to more sale.” Canadian Builder 28 (November 1958): 27-29. Crossman, Kelly. “North by Northwest: Manitoba Modernism, c.1950.” Journal of the Society for Study of Architecture in Canada 24 (February 1999): 64. Hunt, John D. “Family changes taken care of in this Winnipeg ‘open plan.’” Canadian Builder (April 1969): 63-65. Sellors, Roy. Letter to the Manitoba Association of Architects. 11 January 1940. Sellors, Roy. Letter to the Manitoba Association of Architects. 13 February 1972. Sellors, Roy. Letter to the Manitoba Association of Architects. 23 June 1992. Thompson, William P. Academic Influence: A Legacy. Unpublished manuscript. March 2000. Winnipeg. 11.